This is a comprehensive program of meditation based on the ancient nondual wisdom teachings of yoga. Here, the word Yoga represents the realization of your innate ground of unchanging health, resiliency and well-being, that’s always present, no matter your state of mind or situation. 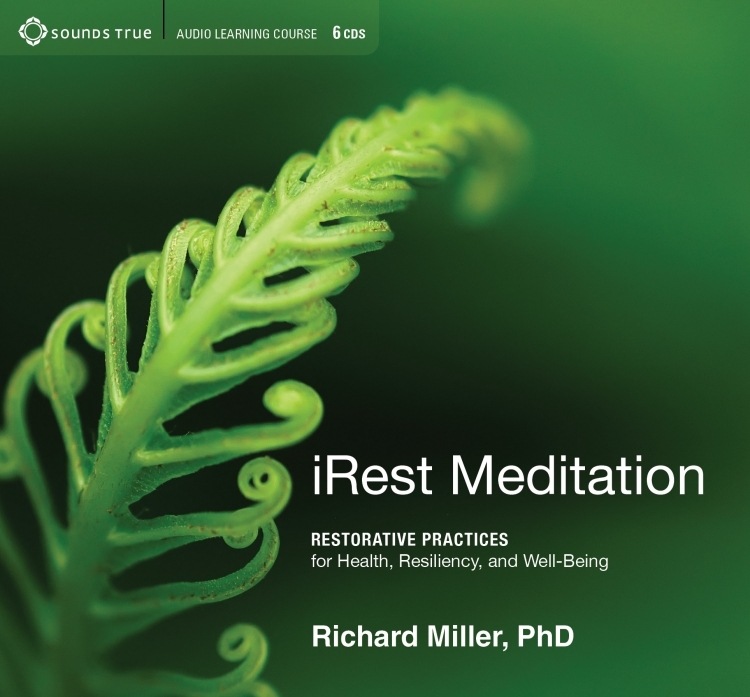 iRest® Meditation offers you a complete program that’s designed to help you discover and abide as your inner sense of unchanging resiliency, peace and well-being through every changing circumstance you’ll encounter throughout your lifetime. This audio program is an experientially based series of talks and in-depth experiential practices, which build one upon the other. While each practice can be engaged independently, Richard shows you how to weave them together, so that they form a complete program that can enable you to discover what you have: true underlying and unchanging health, resiliency and well-being. These practices show you how to welcome, engage and respond to every situation, sensation, emotion, thought and circumstance that you’ll ever encounter within yourself, in your relationships and in the world around you. They’re designed to help you not just survive, but thrive in your life.